To foster the spirit of democracy and to inculcate good citizenship, we conduct elections to the School cabinet after the model of all the formalities of the general elections of our country. 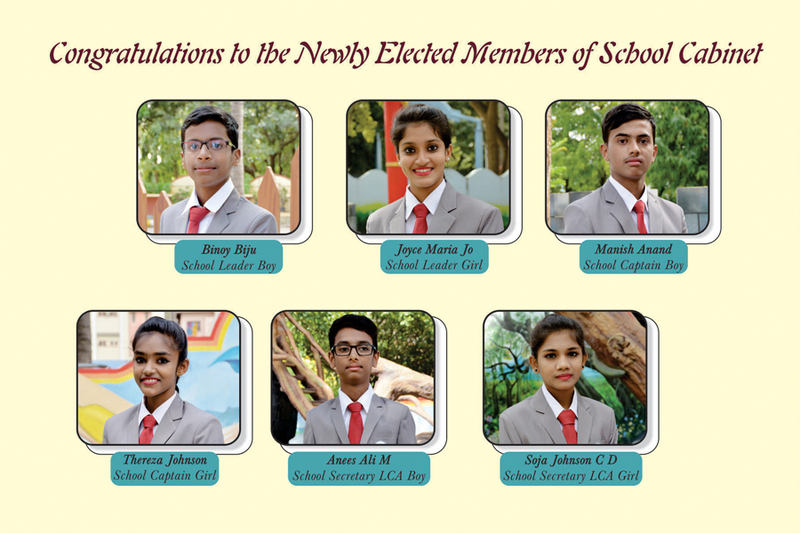 Elections are conducted to the following positions in the School cabinet: School Pupil Leaders, Sports Minister, Academic Minister, Health Minister, IT Minister and Literary Minister and Cultural Minister. Each position in the School cabinet shall have one representative each from boys and girls. For effective management and discipline of Students and to create and foster ’esprit de corps’ among them to develop deep love and devotion towards their Alma Mater, a house system had been developed in School. Thus, the Upper Primary and High School Students are divided into four houses distinguished by four colors in their uniforms. A healthy competition is encouraged among them to achieve the standard of excellence and to develop higher qualities of leadership. The houses are led by their captains and vice captains, who take inspiration and guidance from their house masters and house mistresses. Middle School : Mohammed Shihab V.C. Christ School in Bangalore, India is an unaided educational institution run by the Catholic Minority Community with all the rights and privileges granted by the constitution of India and recognized by the Department of Education of Karnataka State.